We came out to The River because of the shortage of mental health services here. Our staff is composed of Family Therapists, Psychologists, Professional Counselors, Social Workers, and post-graduate interns in those professions. Carl has been a counselor for over 30 years. He integrates low energy neurofeedback, EMDR, and trauma informed psychotherapy. Click here to see Carl's theory on Healing. Beth has lived in Sonoma county for almost twenty years. She initially moved here in 1999 to begin her bachelor's degree at Sonoma State University. After living abroad she decided that she wanted to work in the mental health field and shortly began pursuing her doctorate. Beth received her doctorate from Meridian University and has been working at Russian River Counselors since 2012. Beth is currently a post doctorate psychological assistant. She is hoping to complete the licensure process over the next year. Beth specializes in working with children on the Autism Spectrum and has extensive training in social cognitive practices. In 2011 she spoke at the National Social Thinking Providers Conference on her social based physical education program that she developed for kids with social learning struggles. In addition to working with children on the Autism spectrum she enjoys working with teens,adults and families. She has additional training in trauma, hypnosis, crisis management and play therapy. Sabrina has been providing therapy to people for 12 years. She received her Bachelor’s degree in psychology from San Diego State and her Masters and Doctorate degrees in Clinical Psychology from California School of Professional Psychology in San Francisco. She is a licensed Psychologist. She provides services in English and Spanish. She began working at Russian River Counselors in 2014 as a post-doctoral intern, and has stayed on as an employee. She has an integrated approach to therapy incorporating psychodynamic, relational, humanistic and rational perspectives. She integrates aspects of CBT, mindfulness, and a variety of other theories, to fit the current need. She works with a range of ages from toddlers through the elderly. She works with individuals and families in and out of foster care. She works with couples and individuals. She also provides psychological testing and evaluations. She looks forward to continuing her training in clinical hypnosis, EMDR, dissociative disorders, and Maternal Infant Bonding, at Russian River Counselors. Judith has been a licensed Marriage and Family Therapist for 27 years, working with individual adults and couples. Her work is client-centered and mindfulness-based. She uses meditation and imagery, Gestalt, and cognitive therapy. She began working at Russian River Counselors in 2015 after 31 years in private practice. For 6 years she spent extended periods working with service members and their families on military bases around the world. For over 20 years she has taught classes at Kaiser-Permanente in mindfulness-based stress reduction (MBSR), couples communication, and coping with chronic pain and insomnia. Diana AKA "Breeze" Holloway is an LMFT who has been at Russian River Counselors since joining the staff in 2008 as a trainee. She completed her trainee-ship and internship and was licensed in 2012. She has training in hypnotherapy, EMDR, neurobiology, mindfulness, attachment, parenting and relationship work. She works with children, families, adolescents, adults and couples. She is a certified Domestic Violence counselor and facilitates anger management groups .She has also facilitated parenting support groups and worked with parents, adoptive or natural, of children who have suffered trauma and/or neglect resulting in attachment difficulties. She can provide Mother Infant Bonding Therapy via hypnosis or EMDR. Her work includes using EMDR and hypnotherapy to address early trauma and repair developmental injuries with adults. Her personal history includes living in France as a child and learning to speak French, raising a family that included five children, enjoying cooking, baking and preserving the produce from her son's farm as well as long term interest in and study of Native American arts and culture. Her most recent hobby is enjoying (long awaited) grandchildren. Denise is the director of Russian River Counselors. She obtained her BA and MA from Sonoma State University. She works with children and adults. She grew up here on The River and worked at Safeway for 15 years before becoming a counselor. She does EMDR, hypnosis, and lots of straight talk. Brittany grew up in Cazadero and is a third generation resident of West County. After turning 21 she moved away for nearly 20 years where she lived around the United States and Europe, studied languages, photography, worked as a wedding and family photographer, and eventually returned to school to get her Masters in Social Work. Happily she moved back home during the fall of 2016 and began working as an ASW intern/psychotherapy intern in Sonoma County. She began working for Russian River Counselors in June 2017. As a therapist she works with people of all ages, families, couples and speaks fluent Spanish. The majority of her work has been with children and families, specializing in working with trauma and the Spanish speaking immigrant population. The therapeutic frameworks she likes to incorporate in her work with clients are mindfulness, neuroscience of the mind, somatic awareness (body awareness), Attachment theory, Cognitive Behavioral Therapy, play therapy, expressive arts and to be ever client centered, trauma-informed, as well as culturally sensitive. She believes all people have an innate capacity to heal, live content and productive lives, and is honored to work as a therapist with people on their journey in this life. As an intern she is looking forward to continuing her constant learning of other frameworks for treatment including EMDR, hypnosis, and more in depth study of somatic work. In her spare time she loves to hike, garden, eat, be with her husband, friends and family, travel, volunteer for Stewards of the Coast and Redwoods, and live simply in the present moment as much as possible. She is forever inspired by the resilience of the human spirit and the beauty of the natural world. 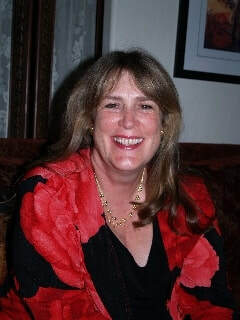 Kathleen is a psychologist with a doctorate from The California Institute of Integral Studies. She has a masters degree in Divinity from Berkeley's Graduate Theological Union. She was a CPA before becoming a psychologist. She does hypnosis, EMDR, and treatment for trauma survivors, including Dissociative Identitiy Disorders. She also practices in Sebastopol. Sancta Maria, mater Dei, ora pro nobis nunc et in hora mortis nostrae. Tony has been working at Russian River Counselors for 20 years. Before that he was at the Erickson Institute in Santa Rosa, Pocket Ranch in Geyserville, and Sonoma County Mental Health. He was on the state's licensing board and was an instructor at the University of San Francisco. His specialties are clinical hypnosis, EMDR, dissociative disorders, and Maternal Infant Bonding. I encourage people to develop and trust their own wants and needs, and to feel safer with others. Drawing on a Person-Centered approach to therapy, I also include developmental models, apply attachment, affect, trauma, and learning theories as they seem relevant, and try to use common sense. After completing a BA, MA, and doctorate in clinical psychology in 2011, all in Sonoma County, David has worked at Russian River Counselors as a psychologist trainee for three years. With 24 years’ personal experience in twelve-step programs, I find that change in adulthood has been easier with the support of like-minded folks — a family of choice.